1 & 2: All Modern Eiffel Kids Round Writing Table and Desk Chairs – What’s cuter than kids furniture with a modern aesthetic? This white and natural wood table and chairs are gender neutral and perfect for those littles that love crafts. 3: Create & Barrel Black X Decal Set - Decals! They are sure to spice up a room being cost friendly and not damaging to walls! These fun X decals add pattern and dimension. 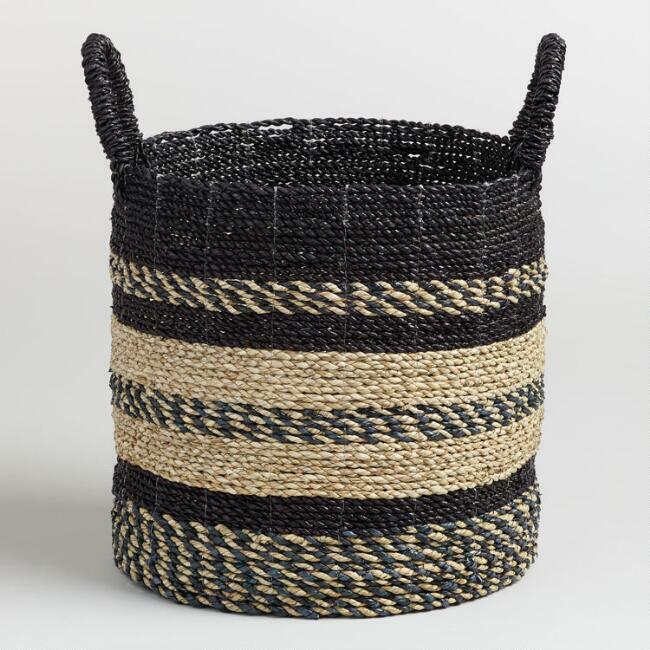 4: World Market Seagrass Calista Tote Basket - Baskets are a stylish way to store stuffed animals, games, blankets, and toys! Loving this black and striped design! 5: Hobby Lobby How Big You Play Sign - What a darling saying! Need a cute sign? Hobby lobby is one of my favorites! 6: All Modern Mcentee 2 wall shelf set with wire bracket - Geometric shapes have my heart! These shelves are ideal for storage or styling! 7: Amazon Petite Maison Kids Play House tent - A kid’s dream! Sleep, play, and release their imagination in this adorable kids tent! 8: Hobby Lobby Yarn Hanging wall Décor - This wall décor will sure add some interest to your walls with some bohemian flair!